In Detroit last month, U.S. District Judge Stephen Murphy III asserted that, despite its importance, the U.S. Constitution does not guarantee a fundamental right to literacy. The plaintiffs (students and families), who accuse Michigan Governor Rick Snyder and other state officials of depriving Detroit children of their right to literacy said they would appeal the ruling to the U.S. 6th Circuit Court of Appeals. 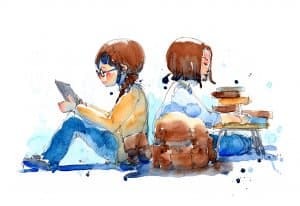 Last year, Public Counsel, the nation’s largest pro-bono law firm and Sidley Austin LLP filed a lawsuit on behalf of a class of Detroit students to confirm the right of access to literacy for all students. 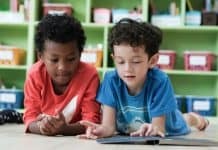 “[The] decision is as deeply disappointing as having to file a lawsuit in the first place to ensure that the state of Michigan denies no child the opportunity to thrive in schools worthy of their desire to learn,” Mark Rosenbaum, an attorney with the Los Angeles-based Public Counsel, said in a statement. He also noted that students in the Detroit Public Schools Community District have the worst literacy scores among big-city districts on a rigorous national exam. “I don’t think you can square that constitutionally or morally,” Rosenbaum said. The lawsuit sought remedies that included literacy reforms, a systemic approach to instruction and intervention, as well as fixes to crumbling schools. In a parallel case (Ella T. v. State of California), also filed by Public Counsel, the defendant sought to have the case dismissed at a hearing last month. The lawsuit claims that the state has violated the fundamental right to education of these children, who are mostly low-income and students of color, by requiring them to attend school yet depriving them of access to the most fundamental educational building block: literacy. The Los Angeles Superior Court ruled that a lawsuit seeking improved literacy education for California public school students can move ahead. Law firm Morrison & Foerster and Public Counsel filed the case on behalf of 10 students and the advocacy organizations CADRE and Fathers & Families of San Joaquin. Defendants in the case—the State of California, the State Board of Education, the State Department of Education, and the State Superintendent—had filed a demurrer to complaint. Morrison & Foerster and Public Counsel filed on behalf of the plaintiffs an opposition to the defendants’ demurrer. With the order by Judge Yvette Palazuelos, the lawsuit will be able proceed and hear evidence that the state of California is failing hundreds of thousands of public school students.